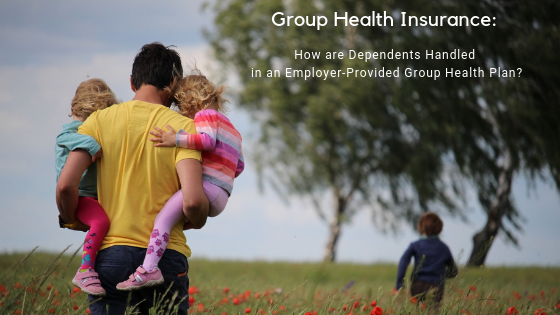 Group Health Insurance: How are Dependents Handled in an Employer Provided Group Health Plan? Insurance is a way for us to ensure our loved ones are provided for in case of an unexpected illness, accident, injury or even death. For employers providing a group plan for their dedicated workers often come with many questions about continued coverage, eligibility, exceptions, exclusions and more. When it comes to covering dependent children, changes in the law recently extended coverage for kids up to twenty-six years of age. In this case, dependent children don’t necessarily need to be biological offspring of the parents. They also include those who have been legally adopted, stepchildren and those kids dependent upon their future parents for support during the adoption process. However, coverage does not extend to grandchildren or children-in-law (or those from spouses of dependent children). In some cases, the insured (especially those covered by specialty groups like Unions or large corporations) may be denied benefits and eligibility for their dependents under special circumstances. For example, if the child in question has the opportunity to enroll in an alternative insurance plan through their employer at zero or low cost to the dependent in question, the provider could require them to take this option. If a twenty-something dependent is already covered, shouldn’t be anything in order to continue coverage. If parents don’t wish to protect their adult children with coverage under the age of twenty-six, they should contact their provider immediately. It’s important for business owners to be aware of the law when it comes to how they are legally insuring employees, their spouses, and dependent children both today and in the future. As a small business owner, it’s difficult enough (if not impossible) to keep up with all the changes in policies, procedures and current laws when running a profitable company. Wading through all the paperwork and legal mumbo-jumbo involved with new or repealed insurance provisions and regulations is our job and not yours. Still have questions on details for dependent coverage? 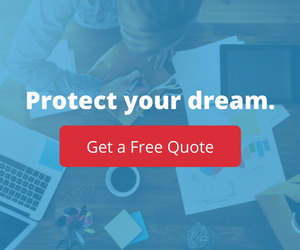 Please feel free to contact us at InsureYourCompany.com where we specialize in serving single-person LLC’s and tech industries in New Jersey. We’re experienced in this field and many other industries so we’re happy to assist everyone in the small business spectrum in the Garden State. Give us a call today and we’ll be happy to discuss your options.